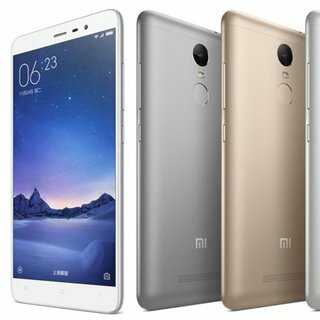 Xiaomi Redmi Note 3 is the latest edition to the Xiaomi line of affordable but impressive smartphones. Redmi Note 3 is the successor to the already popular Redmi Note 2. The smartphone powered by a 64-bit 1.8GHz hexa-core MediaTek Snapdragon 650 chipset is equipped to deliver uninterrupted performance. The 16GB version comes with 2GB of RAM while the 32 GB version comes equipped with 3GB RAM. Wrapped under Android 5.1 Lollipop, the Redmi Note 3 runs on MIUI 7 custom android OS. The smartphone flaunts a bright display with full HD resolution on 5.5-inch touchscreen. There is also an option where you can change the resolution or optimize it as per your reading mode. It features a huge 4,000 mAh battery which is essential considering the power it is packing and should be enough to get you through the day with moderate to heavy usage. It is available in gold, silver and grey colours with a full metal unibody design to give more premium feel to this Redmi Note 2 successor. The best part about this is all these features are packed into just 8.65 mm thick phone. The front facing camera is mere 5 megapixel which considering the price tag of under Rs 10,000 sounds okay enough but if you are looking become selfie king/queen, it may disappoint you. However, the rear 16 megapixel rear camera can capture superb shots both in daylight and not so bright environments with its phase detection autofocus support and dual-LED flash. The good thing about Redmi Note 3 connectivity is that it comes with 4G support which has started gaining traction in India. Other connectivity features include Bluetooth 4.1, Wi-Fi 802 a/b/g/n/ac, GPS and a microUSB 2.0 port. In more than one way the Redmi Note 3 is no different than Note 2 but the added premium features like fingerprint scanner, bigger battery and full metal body surely makes it a better buy than its predecessor.